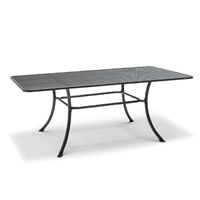 Add elegance and durability to your outdoor entertainment areas with wrought iron furniture. 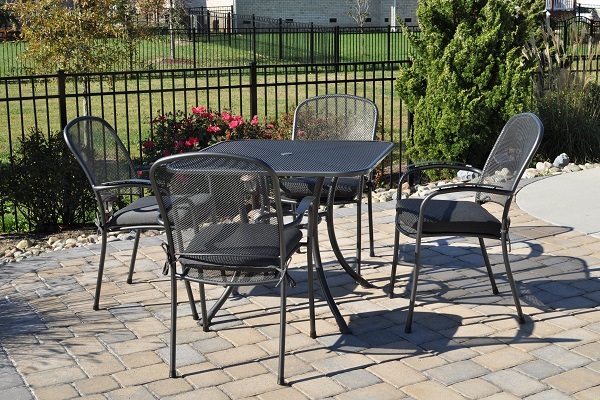 Our KETTLER wrought iron chairs and tables are perfect for both decorative and everyday use. 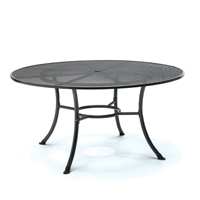 For the full effect, choose a wrought iron patio set, or use a small wrought iron table as an accent for your patio or deck throughout the year. 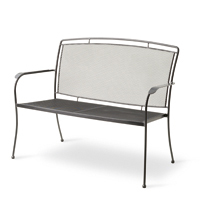 KETTLER utilizes an exclusive Electrotherm coating technology on all of our wrought iron furniture. This finish is three times thicker than a conventional powder coat. The Electrotherm coating creates an extremely smooth finish in combination with smooth weld points and resists scratching, peeling, fading and chipping. Another advantage is that your wrought iron furniture will remain approximately 20% cooler after long sun exposure than conventional paint finishes.